A menace with the name “hairy panic” doesn’t sound like something you’d want to encounter the moment you step outside. 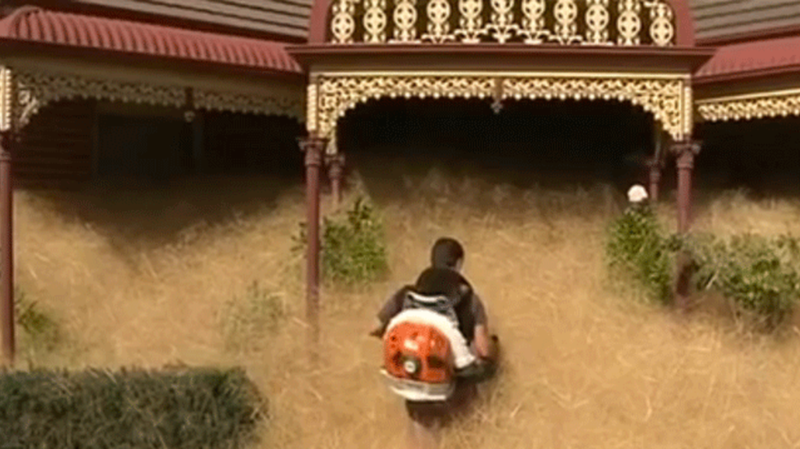 But that’s what residents of Wangaratta, in southeast Australia, are dealing with every day as dry conditions are causing mounds of tumbleweeds to pile up outside their homes. Also known as Panicum effusum, the fast-growing plant can be found throughout the continent of Australia. During dry spells, large masses of the dead grass form tumbleweeds that travel across the land, dispersing seeds along the way. Wangaratta residents are proclaiming this summer to be the worst in recent memory, with seas of hairy panic reaching up to the roofs of some houses. Banner image courtesy of Prime7 News Albury.